These are some of my favorite pictures of the kids. They were taken in Chaska, TN where my dad has spent many days working. 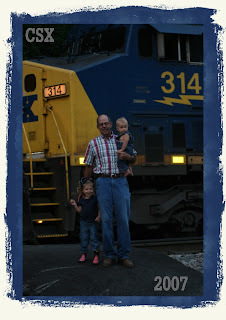 He is an engineer on the railroad, so the kids love every opportunity they get to go see papaw at work. 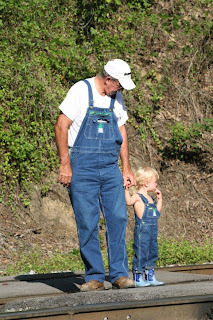 Work isn't near as exciting to dad these days, but all of that will change soon. We are counting down the days until he can retire. DECEMBER!!!! !